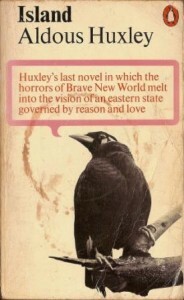 *Huxley, Aldous. 2005. Island. London: Vintage, p.91. Just saw ‘The Grand Budapest Hotel’. Fabulous movie by one of my favourite directors. I really do love Wes Anderson’s way of looking at the world. Anyway there is a lovely shot of a telephone box on stilts, pained with black and yellow zig-zags, in the middle of a snow covered field.